I don’t think it’s exactly a secret the grocery store is one of my favorite places. Having grown up the daughter of a grocery store manager, it only makes sense that I feel quite at home in the aisles of Jewel. I like to think all that time spent in the supermarket gives me a sixth sense about new products I’d like to try, and there’s no aisle I’m more familiar with than the frozen “Meals for One” section. Since adhering mostly the Weight Watchers Simple Start/Core Foods program, I’ve tried to eat more fresh foods and rely less on frozen meals for lunch, so these days I’m typically zooming through this aisle, past the green Healthy Choice boxes, the red Smart Ones and the white Lean Cuisines. 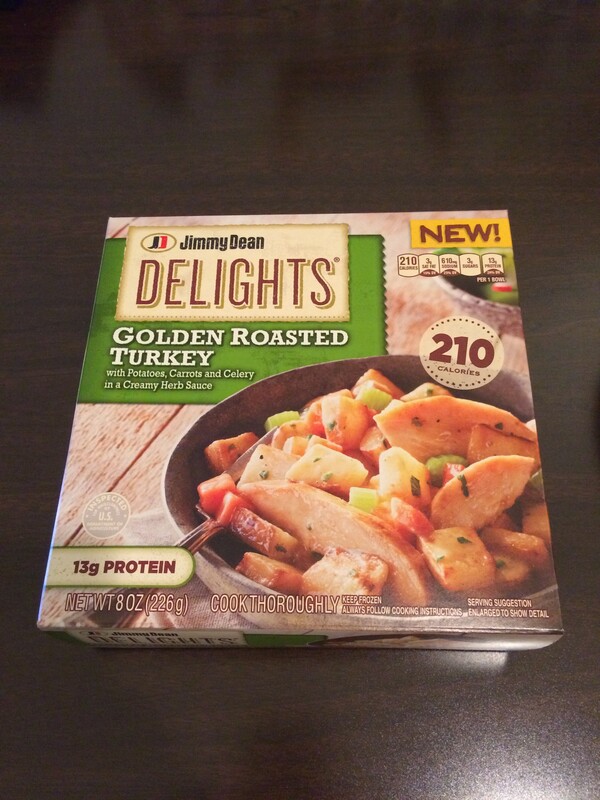 Recently I noticed a new line of products (just past the sea of green, red and white) from Jimmy Dean that looked pretty good, and sold me with their low calories. Additionally, for the most part, they used mostly Core foods ingredients, so I didn’t have to worry that I was veering too far off the nutritional course. 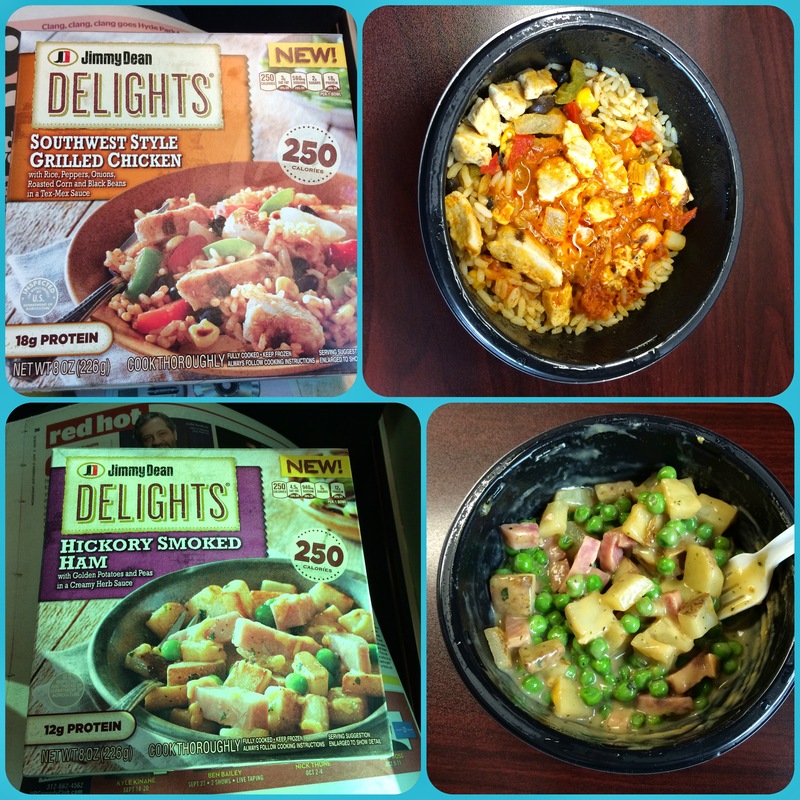 I had a chance to try three of the new varieties of the Jimmy Dean Delight bowls, including the Southwest Style Grilled Chicken, Hickory Smoked Ham and Golden Roasted Turkey. I really liked the Hickory Smoked Ham and the Golden Roasted Turkey, and for 250 calories or less, there’s a lot to love. I think one of the highlights was the sauce in each of these dishes – not overwhelming in quantity, but delicious and certainly added to the flavor. I love ham, peas and potatoes together, and ham is not a protein usually featured in frozen meals. 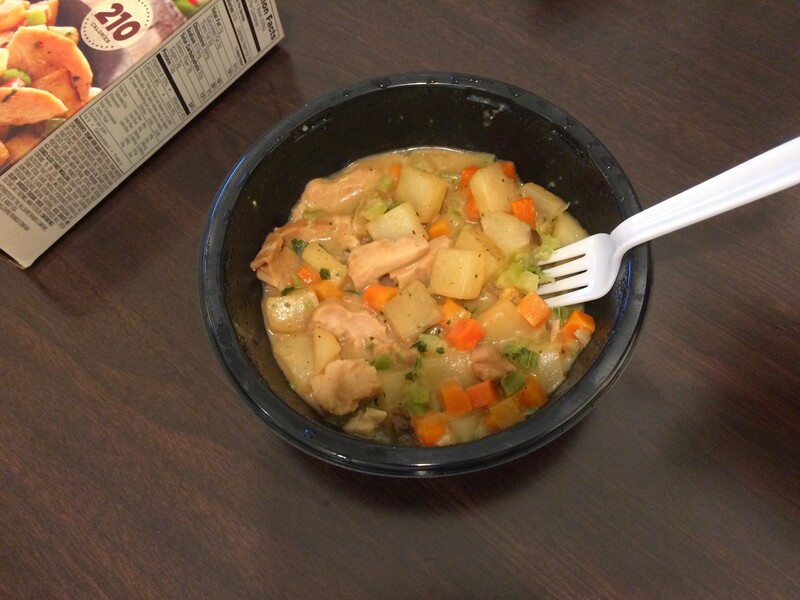 The turkey dish seemed like the filling of a pot pie, and was my favorite of the three meals. The Southwestern Chicken was good, but not as good as the other two. If I bought it again, I’d definitely jazz it up with hot sauce and sour cream. In the realm of Healthy Choice, Smart Ones and Lean Cuisines, I think the Jimmy Dean Delights line is a serious contender. Inventive ingredient combinations and well-executed flavors make these frozen meals worth a try, and I’ll be adding them into the rotation.